• The Defense Style Questionnaire was relabeled in terms of DSM-III-R defenses and administered to three groups: a normal population, family practice patients, and patients with anxiety disorders. The preferred factor structure identified mature defenses (sublimation, humor, anticipation, and suppression), neurotic defenses (undoing, altruism, idealization, and reaction formation), and immature defenses (projection, passive aggression, acting out, etc). Factor scores varied systematically with group membership and with measures of total symptoms. In this cross-sectional study, the vulnerability factors of neuroticism, locus of control, and defense style were all correlated with neurotic symptoms, but defense style added little to the variance explained by the other two. 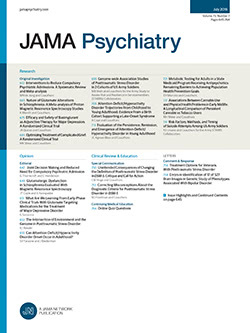 Within the patient group, however, neuroticism and locus of control did not distinguish among panic disorder, agoraphobia, social phobia, and obsessive-compulsive disorder, while defense style showed patterns characteristic of each disorder.